Cucumbers are great sliced as a snack. They grow on vines, and sometimes farmers train them to climb trellises to keep the cucumbers off the ground. 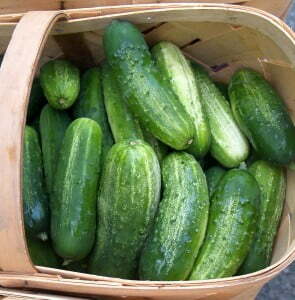 Look for cucumbers in the school cafeteria this month!